Many of us enjoy the shot of bright color, freshness, or mood lift that flowers or plants provide, but having a garden is not an option. 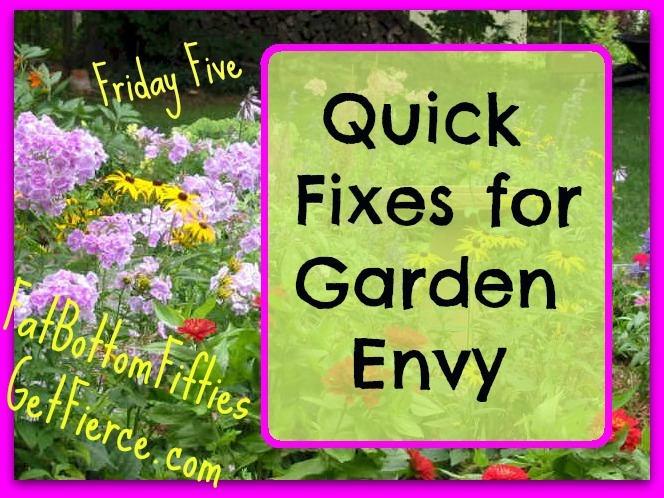 Whether you don’t have the time, space, or commitment that tending a garden requires, today’s Friday Five offers smile-inducing alternatives! 1. Vegetable pots. Make yourself a mini garden with a potted vegetable or two. Cherry tomatoes (I know – not really a vegetable!) are a great choice for patio containers – attractive and fruit producing! Click on the picture to see more ideas for veggies that do well in containers. 2. Windowsill herb garden. The pictured kit was found on Amazon.com for $22 (give or take a few pennies), but you should be able to find something similar at a local lawn and garden type store. It brings fragrant right into your kitchen and makes it easy to snip some fresh right into your meals! 3. $5 grocery store bouquet deconstructed. You’ll be surprised at the bang you can get for your buck by trimming individual blooms down and putting one or two in mini vases, juice or shot glasses. Line them up on a windowsill, group them on a tray in the middle of a table, or put a few in different rooms of the house to spread the love! 4. Remember terrariums? It’s a great way to bring a mini landscape indoors. Head to Pinterest for a plethora of ideas on containers – from light bulbs to jumbo bottles and everything in between! If you like the ones pictured below, click on it for some great how-tos. 5. 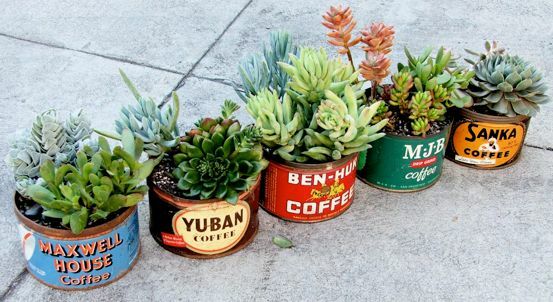 Succulents in bright pots or cans. 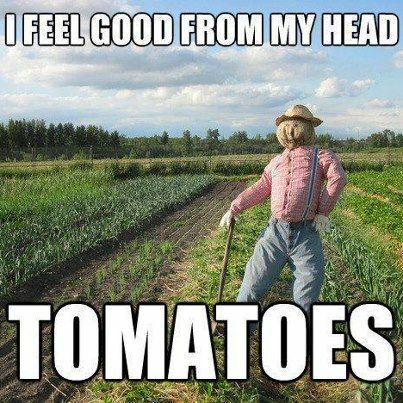 These are a great choice for those of us without green thumbs. These hard-to-kill (but trust me when I say not impossible-to-kill) plants nestled in colorful cans turn a small space into a fiesta!